Even in the midst of a recession, granite is ever popular among homeowners, designers, and builders alike. Everyone’s looking add there own personal style to their pride & joy. And in the kitchen, it’s undoubtedly the number one material of choice – something that’s clearly not going to change anytime soon. 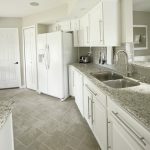 Granite (among other natural stones) is a great option for homeowners not only so they can enjoy its style and quality but also to reap the better resale value it brings. 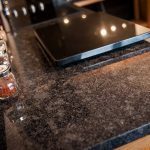 So with little in the way of competition, homeowners and designs are beginning to get creative with granite worktops, experimenting with different colour, texture, and installation options. Safe and neutral used to be the go-to style for homeowners and designers to ensure homes appeal to the majority of buyers when it comes to resale. But today we’re seeing personal style shine through, with bold and dramatic statements being made that reflect a type of personality rather than a generic look. Strong colours, vibrant patterns, and unique textures create worktop designs that look more like pieces of art than work surfaces. Creativity is the new neutral. It’s difficult to top the intricate and dramatic veining that marble has to offer. 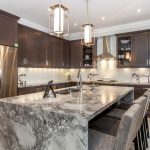 But as marble isn’t ideal for the kitchen, due to being porous and prone to staining, homeowners are turning to granite slabs as an alternative. They offer endless options which mean you don’t need to choose between the patterns of marble and the durability of granite — you can have them both. Contemporary, cool, and calm colours are all the rage this year. Stunning greys with splashes of gold, pearl, and copper, can help create a clean, open feel whilst ensuring no sense of warmth is lost. What’s more, grey granite worktops compliment practically any colour palette, meaning they can work alongside various cabinet styles and create an effective contrast. Two other popular colours are white and gold. White affords homeowners the bright, fresh, and expansive feel they desire whilst gold is making a come back due to the warmth and elegance it can offer any space. Straight lines are limiting. Homeowners and designers like to be more creative with their kitchen design, and curved worktops and surfaces is one way they can certainly do that. Bold, sweeping curves juxtaposed with hard, vertical lines of cabinets can create a dramatic effect and a focal point in any home. Curved worktops also help to create a feeling of space, which is generally welcome in any kitchen. 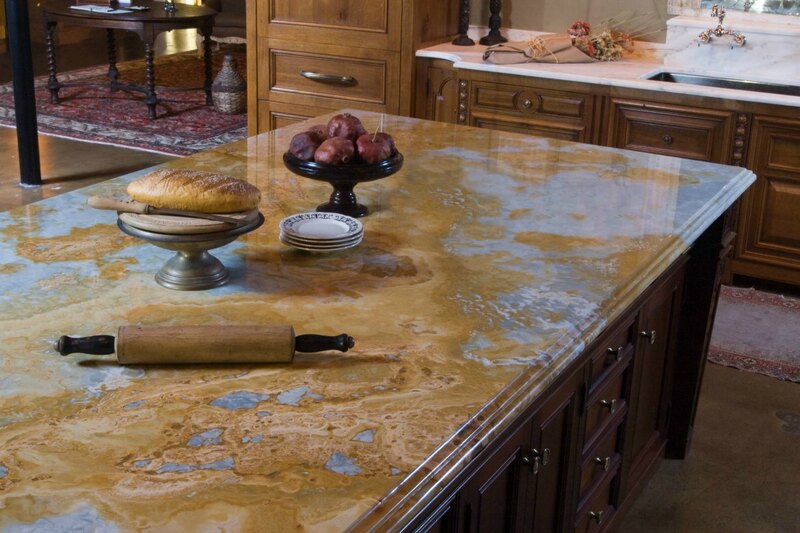 Often overlooked are worktop edges which come in a variety of designs. 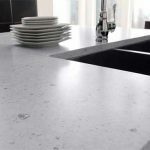 Coves, bevels, chiseled, waterfall, bullnose; whichever you choose, paying attention to the little details is sure to pay off and transform your kitchen worktop into a piece of unique and custom design. 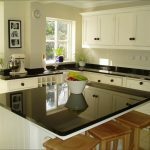 We provide high quality granite & quartz work surfaces throughout the UK. Visit our website to find out more or get in touch with the friendly team at Affordable Granite and Marble today.